What to pack for Israel had me stumped. The general rules with conservative dress is that tops and dresses should cover your shoulders and pants, skirts, or dresses should fall below the knee. It’s a good idea to plan for layers and a scarf or Pashmina is the ultimate piece to complete your outfit. Israel isn’t exactly a conservative place though. Even though it’s very important to wear modest clothing to religious places, it’s a lot more casual in cities like Haifa or Tel Aviv and you can basically wear whatever you like. I partnered with Silver Icing for some beautiful clothing options that fit my Israel trip perfectly. From Maxi skirts and dresses to tunics and leggings, Silver Icing has me covered in Israel and for the entire year in Southern California. The pieces I chose can be worn just about anywhere. I chose four tunics, a sweater, a tank top (that can be worn with a scarf or sweater if I need coverage), a Maxi dress and skirt, leggings, jeans, and a couple statement accessories as the “icing” on the cake. I stuck with three base colors so mixing and matching would be easy and I chose pieces that could be worn multiple ways. These 12 Silver Icing pieces are all that I need not only for my trip to Israel but as a complete wardrobe in Southern California. 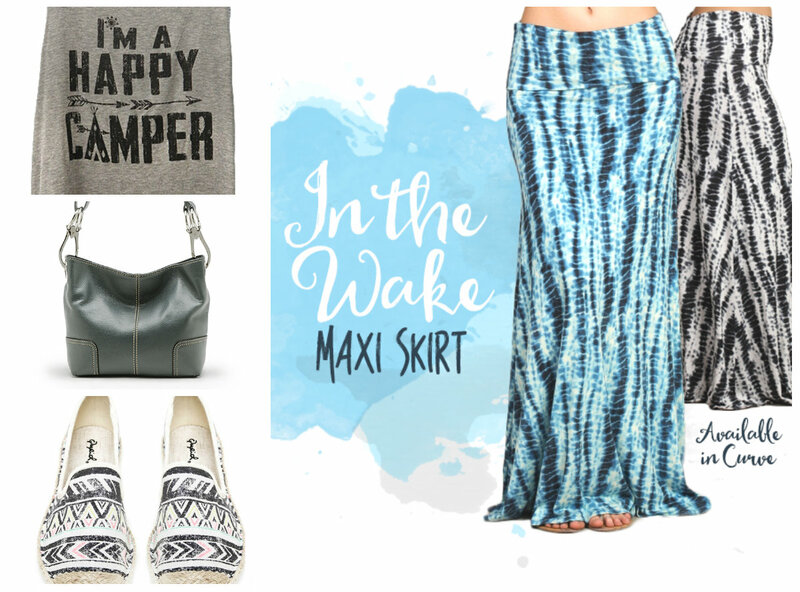 The Maxi skirt can be worn just about anywhere and can be casual or dressy. It’s lightweight so I won’t over heat in Israel and it doesn’t get wrinkly when packed. 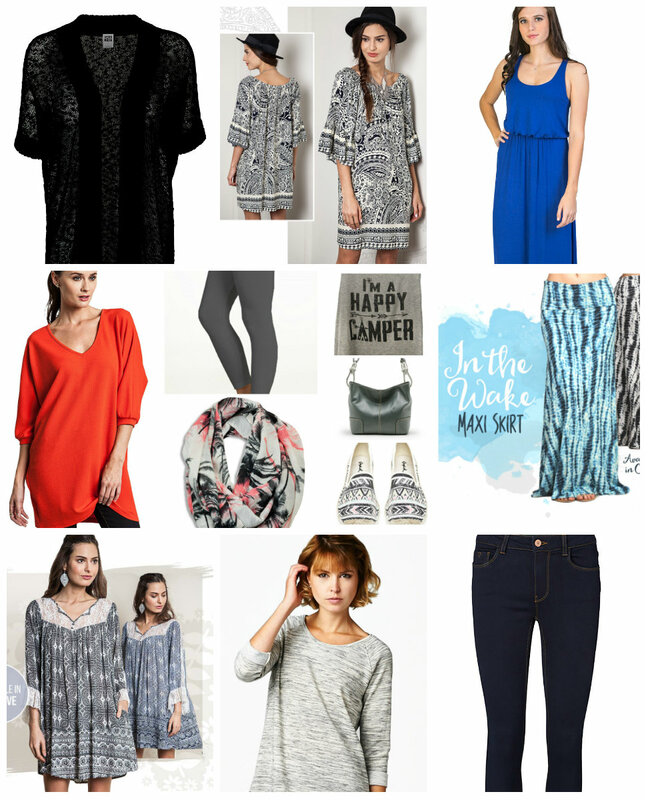 Tunic length tops are fantastic for multiple reasons. They look amazing with leggings, they cover the bum, and they lengthen the torso. 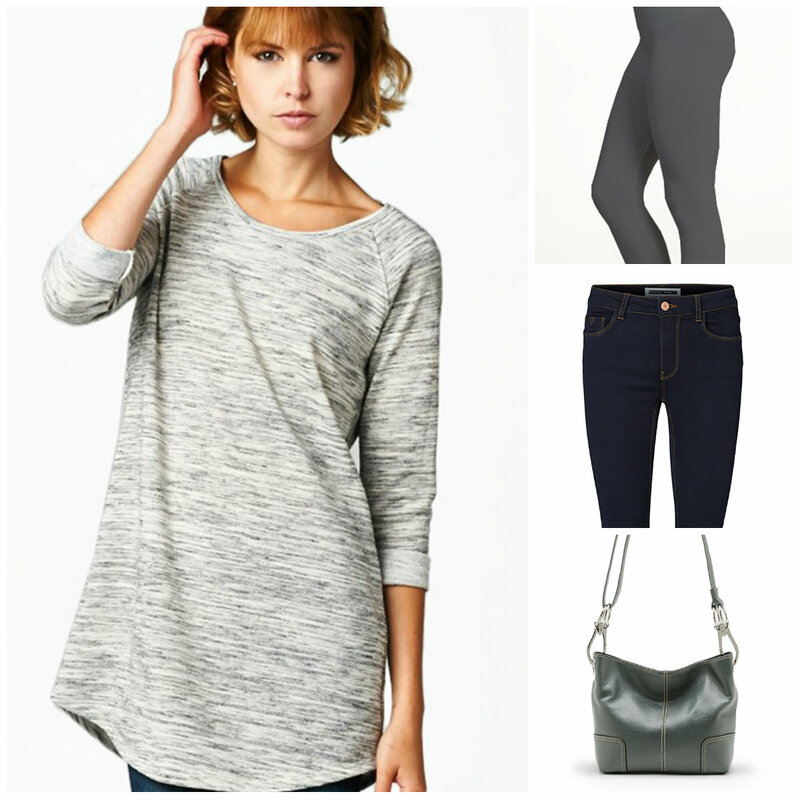 Simple, flattering, and comfy – how can you go wrong? Although this Maxi dress doesn’t cover my shoulders, I chose it because I can cover up with a scarf or sweater and still get tons of use out of the dress when I return home. The Summer Breeze Tunic is my favorite piece. I already wear it to the beach, shopping, and playing at the park with Athena. Paired with leggings or jeans, it can be worn multiple ways and always looking flattering. Did I mention it has pockets? I’m in love. Talk about a transitional piece, I can wear this tunic with a pair of cute skinny jeans or leggings or grab some heels and rock it as a dress. Like the Maxi dress, I wanted this “I’m a Happy Camper” tank for the long haul. My daily life is casual and usually involves a trip to the beach. Simply put, I just loved this one too much to pass up. All of these Silver Icing pieces fit in my carry-on along with my bathing suit, computer, camera, phone, toiletries, adapters, cords, and passport. I’ll have a little bit of space left over for small purchases at the market. I don’t think I’ll be able to leave Israel without purchasing at least one Pashmina. I leave for Israel in four days. I can’t wait to explore the land of creation. This entry was posted in Israel, Travel and tagged Israel, Packing for Israel, Silver Icing, travel, Traveling Packing by lesleycarter. Bookmark the permalink. if you go to the dead sea, I highly recommend their skin care products. Having been to Israel myself, it was my impression that NO ONE WOULD DARE TELL an Israeli woman what she can and can’t wear, wherever and whenever she wants to wear it. Period. Fantastic! I chose pieces that could be worn just about anywhere so they should work regardless. Great! That’s why I packed the tunics. I’ll be wearing them without jeans or tights where I can and with when I can’t. It’s the ideal piece. What was your favorite experience in Israel? When you go back in September, will you go to the same places? Did you find that leggings were acceptable in Israel? I will be traveling there next week. I agree with the above comments about how to dress, but it’s always a good idea to have something to put on when visiting religious places. I was born in Jerusalem and lived in Tel Aviv for many years, if you want any suggestions let me know what you’re interested in – food, arts, history etc. Thank you! I’m traveling with the tourism board so they planned most of the trip. Any unique foods that I really need to try? I always worry about how to dress regardless of the location. Finding the right clothes for different temperatures, climates, and cultures can be a struggle. Even dressing in Southern California can be different from one day to the next. The mornings are cool and layers help. •	In Jerusalem I recommend the dish “Jerusalem Mixed Grill” (Me’orave Ye’rushalmi) which can be found in Mahane Yehuda Market, located in the center of town. •	The Falafel in Jerusalem is served either in regular pita bread or in a flat bread called “Esh Tanoor”. I highly recommend the later. •	Israeli schnitzel is different than the European one, as it’s made with chicken or turkey, and served in pita bread, with lots of salads and condiments. •	If you end up in a supermarket or grocery store, look for the local cottage cheese, preferably 9% fat. I know it’s a strange recommendation, but it really is completely different than the American one and very tasty. While at it, try what the Israelis call “white cheese”, (G’vina Levana). It’s light and fresh and very different than any American white cheese. It’s used as a sandwich spread and a base for dips, both savory and sweet, and local cheese cakes, which are less heavy than the American ones. •	The local cherry and grape tomatoes are extremely tasty. Newvarieties are developed every year, so it’s fun to check out what’s new. The produce in general is very fresh (it’s a tiny country after all…) and even though most Israelis complain (that’s an Israeli hobby, by the way…:)) about the flavor and freshness, it is way better than in most places. Looking forward to hearing your travel stories from Israel! Have fun, all of you. Save travels and have fun!! Can’t wait to read about it and see photos! A.w.e.S.O.M.E. You must tell us all about it when you can. Have a great time! Look forward to it, Lesley. Enjoy. I can’t wait to see Israel through your pictures! Have an AMAZING trip! Have a wonderful time and I love the clothes! So many great options here! I absolutely love the Summer Breeze tunic. Hope you have a wonderful time visiting Israel and can’t wait to read about all your adventures! You are an incredible inspiration and it’s largely because of your get out and go attitude that I’ve visited as many amazing places as I have the past couple years. I really hope we get to cross paths somewhere on this wonderful earth someday just to talk story! Keep it up! Have a super trip! It is getting quite hot here at the moment but nights in Jerusalem can still be chilly. You packed very wisely. Have a wonderful trip! As you are open to all kinds of experiences, I’m sure you will enjoy yourself immensely in Israel. You’ll have a wonderful time – you can wear anything you’d like – just bring a few long outfit for religious places like the western wall. it’s pretty hot already over here. This helps me with some ideas for 3 weeks in Europe this summer – thank you! After over-packing the last few summers, I’ve bought the wash bag called the Scrubba – have you heard of it? I think it will be a game-changer for my longer trips. Have an enchanting time! I hope you have a good time when you are here. The biggest culture shock westerners experience is when getting bumped by a passerby in the streets, don’t expect them to stop and apologize. That is not considered ‘rude’ here. During Shabbat you might want to stay in Tel Aviv or Haifa. The rest of the country closes down from Friday to Saturday night, at least this way you can go to the beach or art museums.